You are invited to the vernissage for the sculptural exhibit DIMENSIONS 2015. 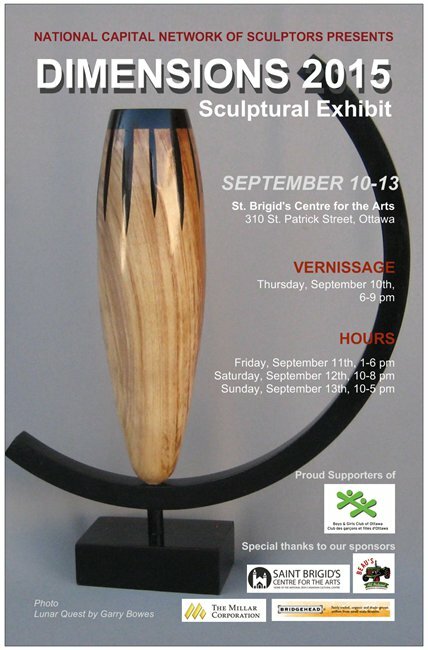 Thursday, September 10th at St. Brigid’s Centre for the Arts located at 310 St. Patricks Street in Ottawa. You’ll see over 60 sculptures on display including the work of mixed media and bas relief artist . . .
How long have you been creating? I obtained an Honours degree in Visual Arts from the University of Ottawa in 1980. A constant theme in my works is nature and its diversity. What inspires you to do what you do? I need to express my feelings with images which I cannot reach with words.